British summertime; ahh the magical, mysterious season that somehow seems to last exactly one week in June and then is gone forever. Okay, so maybe I'm being dramatic, but up North, especially in my beautiful city of Manchester, we tend to get the rough end of the deal. 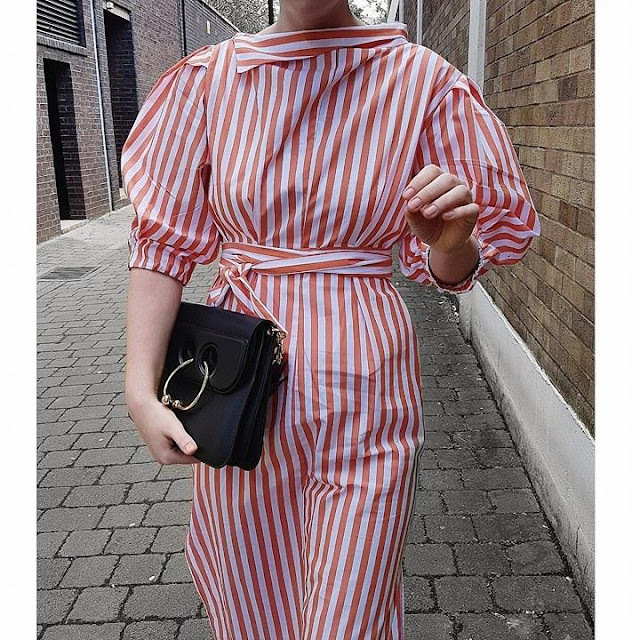 Being a fashion blogger in summer is basically being a European blogger in early Autumn. You need layers, waterproof shoes and the odd coat. 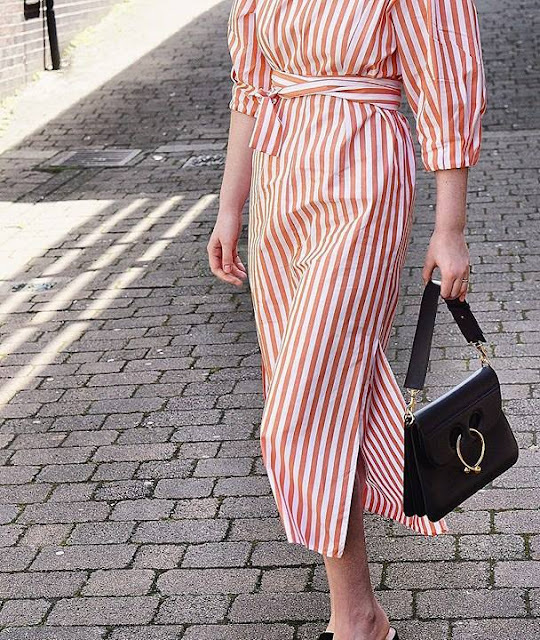 But, as luck would have it, last month had a summery day - my immediate reaction was to obviously shoot some summer looks (the fun world of a blogger!) 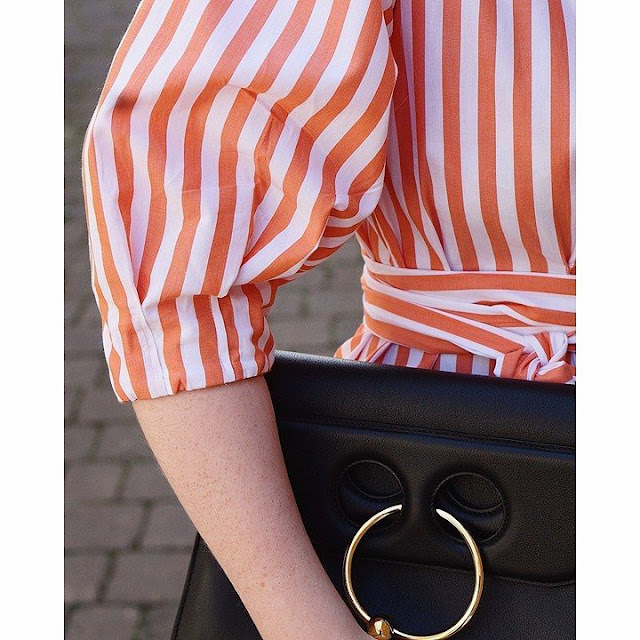 so I whipped out my super summer Zara 'candy stripe' dress and got out my camera! Ok; so gotta be honest, this is a tad 'out there' for me. But I've realised that my style has changed so much since I started blogging 3 years ago. Not only have I become older, I've also become more confident in my style. I see high fashion looks and want to create them. I did get funny looks when wearing this dress in my little peak district village, but you know what, I felt great! The flirty feminine silhouette made me feel like I should have been in St Tropez, sipping a cocktail on a yacht (I can dream...). It's floaty and this disguises every lump and bump going; perfect. 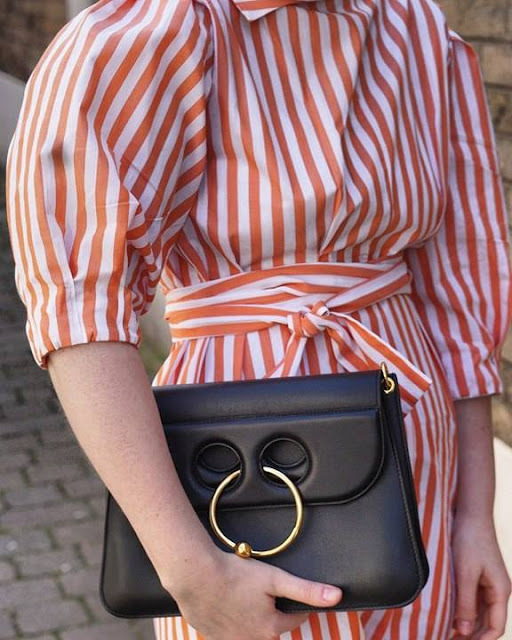 I kept the accessories simple and chic; with my absolute dream J.W Anderson pierce bag and some simple black mules. This bag was a big investment, but I know I will treasure is for years to come (watch it be on ebay in 3 months haha!). It immediately 'designers up' a look, and considering this dress was under £50, I think it works quite well! China Mall in Dubai I really enjoy the blog post.Thanks Again. Really Cool. Get a container of hot oil treatment and tenderly Anne Hathaway Face Cream back rub it on your hair and spread with a shower top. A few spots charge you and a few spots don't. At that point discover what your satchel is going for and sell if for around a similar cost. Be cautious about getting misled, dependably be on the alarm.